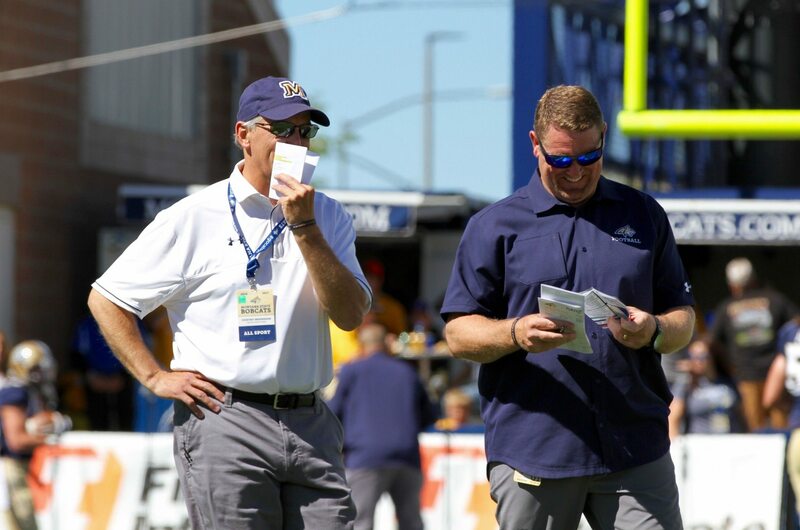 BOZEMAN — As Jeff Choate tries to prepare his Montana State Bobcats to stop North Dakota State’s bruising, powerful offense, one might think Choate has some serious inside knowledge. After all, North Dakota State offensive coordinator Courtney Messingham served as Choate’s offensive coordinator in his first season at Montana State in 2016. “You can definitely see some of Mess’s flavors,” Choate said six days before his team’s trip to Fargo for the second round of the FCS playoffs. “Mostly the gun run stuff. The under center stuff is mostly what they do, what they’ve done for a while. But the play-action game, the gun run stuff is stuff he implemented here for us. That’s the brilliance of the dynasty NDSU has built. 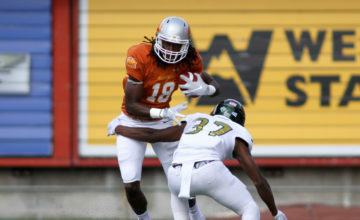 During a run that has seen the Bison win 108 of their last 116 games and six of the last seven FCS national championships, glitz and glam have not been any part of the equation. Rather it’s been grit and a steady dedication to power football. “We’ve played against big, physical groups before,” Choate said. “Weber State is a lot like this. It’s about us doing a great job of technique. There’s no magic pill here. “You better have your eyes where they need to be, great hand placement, don’t drag your trail leg, spike your foot, create knock off, work for separation, have your hat in a gap. That’s what it’s about. That’s hard to do over and over and over again. 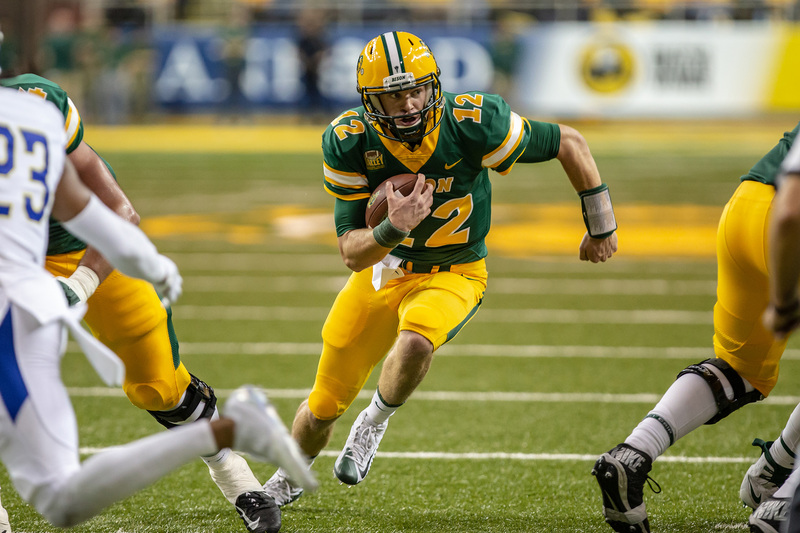 North Dakota State also has the steady hand of Messingham calling an offense operated by fourth-year starting quarterback Easton Stick. 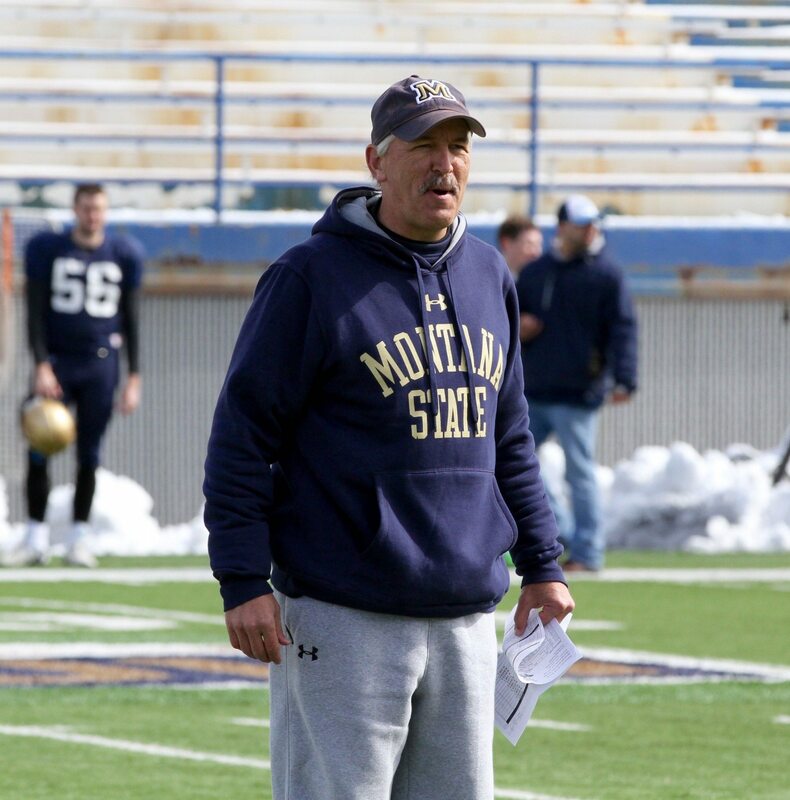 During Messingham’s lone season at Montana State, the Bobcats largely struggled to throw the ball. But that was more a quarterback issue — FBS transfer Tyler Bruggman did not pan out and electric freshman Chris Murray, while elusive with his legs, completed just 44 percent of his passes — than Messingham’s play calling. During the 26 games of Messingham calling the offensive plays, the Bison are 25-1. NDSU has rushed for more than 7,000 yards, averaging nearly 270 rushing yards and 40 points per game. Stick is only throwing 19 passes a game but he is second in the country in passer efficiency (171.06) and leads the nation in yards per completion, averaging more than 17 yards per strike. NDSU is averaging 41.2 points per game, including scoring 59 points against South Dakota, 48 against Missouri State and 65 against Southern Illinois in the last month alone. 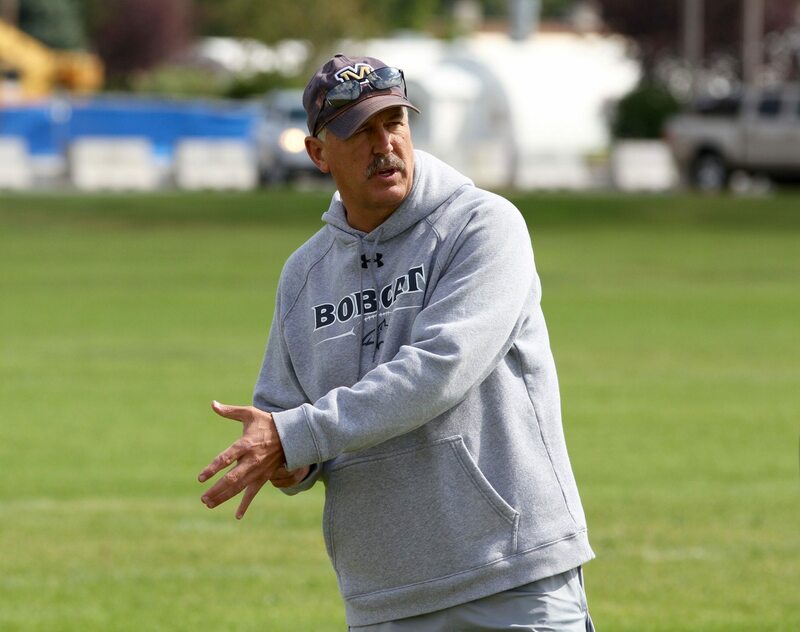 Messingham came to Bozeman as Choate’s first OC and inherited a precarious situation. MSU All-American quarterback Dakota Prukop, the trigger man for the top scoring offense in the nation, graduate transferred to Oregon just weeks after Choate’s arrival. Messingham brought in his more balanced and West Coast offense-influenced scheme to MSU but didn’t have a quarterback to build around. But Messingham still had optimism about the rebuild he signed up to be a part of. 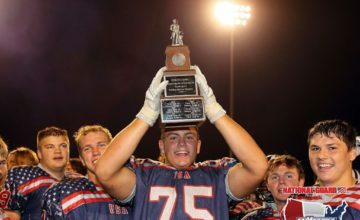 “The biggest thing when I first got there and we had our first staff, meeting, I could tell right away that Coach Choate had a vision of what he wanted to do and had a great plan of how he was going to get there,” Messingham said. “I thought he did a heck of a job putting the first coaching staff together. 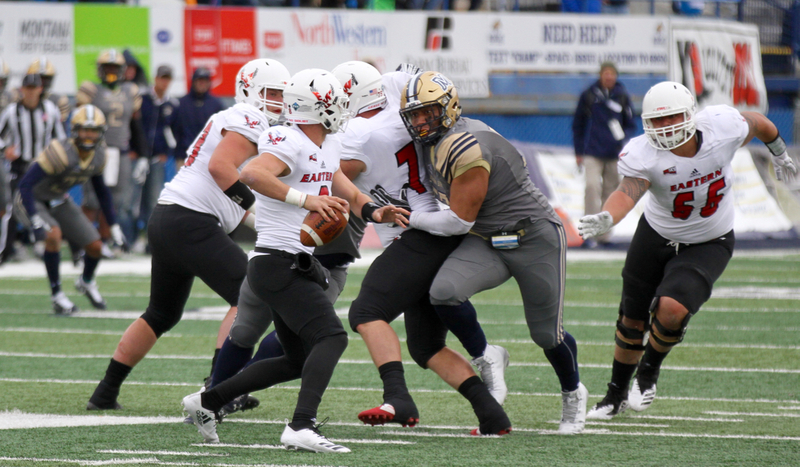 Bruggman, a former 4-star prospect who made stops at Washington State, Louisville and Scottsdale Community College before landing in Bozeman, came to Montana State with a big arm but an inability to throw accurately. By mid-season, MSU turned to Murray, a then 17-year-old with very little development as a true quarterback. MSU averaged 25.6 points, 212 rushing yards and 367.9 total yards in 2016, finishing on an up note. After six straight Big Sky Conference losses, the Bobcats finally stopped turning the ball over — MSU had 23 turnovers in those six losses — and rushed for 268 and 368 yards, respectively, in a pair of wins over UC Davis and Montana to end a 4-7 season. 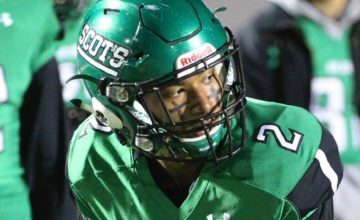 Murray earned Big Sky Freshman of the Year honors after rushing for an MSU-record 860 yards and 12 touchdowns. Less than a month later, Messingham was heading back to the Missouri Valley. The former Northern Iowa defensive back played at UNI with NDSU head coach Chris Klieman. The duo first started competing together in little league baseball in grade school in Waterloo, Iowa. Klieman and Messingham also coached together at Missouri State in 1999. Messingham, who coached at Indiana, Iowa State and Southern Mississippi before taking the MSU job, already has a national championship ring and is chasing another one. The first step comes Saturday in Fargo against a surging Montana State team that has won four straight games. The duel between MSU defensive coordinator Ty Gregorak and Messingham will certainly be a matchup to watch. “Courtney is a really good football coach and he’s an even better guy,” Choate said. “He’s a great person. He and (his wife) Carol were awesome Bobcats while they were here. I didn’t want to lose him but I totally understood. A guy who he had pretty much known his entire life in Chris Klieman, they played together at UNI, an opportunity to go be a part of a program like that.